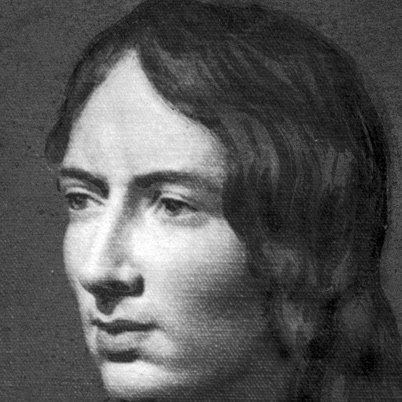 Biography of Emily Bronte would start and end with her famous novel Wuthering Heights. For those interested in personal life, Emily was born on 30 July 1818 to Maria Branwell and Patrick Bronte in Thornton, near Bradford in Yorkshire. She was the fifth of six children and the younger sister of Charlotte Bronte and Patrick Branwell, her only brother and elder sister of Anne Bronte. Emily’s father was a perpetual curate in Haworth where the family moved, in 1824, and it was here that their literary gifts flourished. All the four siblings became writers. After the death of their mother, the older sisters Maria, Elizabeth and Charlotte were sent to the Clergy Daughters’ School at Cowan Bridge. Emily joined the school for a brief period. When a typhus epidemic hit the school, Maria and Elizabeth caught it. Maria died immediately. Elizabeth and Charlotte were subsequently removed from the school along with Emily. Elizabeth died soon after their return home. The three sisters and their brother Patrick Branwell were then educated at home by their father and their mother’s Spinster sister Elizabeth Branwell. In their leisure time, the children created, wrote and enacted about the imaginary adventures of their toy soldiers. Charlotte and Patrick Branwell created stories of an imaginary kingdom of Angria to entertain their younger sisters. When Emily was 13, she and Anne withdrew from participation in the Angria story and began a new one about Gondal, a large island in the North Pacific. At seventeen, Emily attended the Roe Head girls’ school, where Charlotte was a teacher, before being overcome by extreme homesickness. She returned home within three months and Anne took her place. Beginning in September 1838, by the time she was 20, Emily became a teacher at Law Hill School in Halifax. She returned home in April 1839 after her health broke under the stress of the 17-hour work day and became the stay-at-home daughter. She taught herself German out of books and practiced piano. In 1842, Emily accompanied Charlotte to Brussels, Belgium, where they attended a girls’ academy run by Constantin Heger. The sisters returned home upon the death of their aunt. They did try to open a school at their home but were unable to attract students to the remote area. In 1844, Emily began going through all the poems she had written, recopying them neatly into two notebooks. In the fall of 1845, Charlotte discovered the notebooks and insisted that the poems be published. Emily, furious at the invasion of her privacy, at first refused but relented when Anne brought out her own manuscripts and revealed she had been writing poems in secret as well. In 1846, the sisters’ poems were published in one volume as Poems by Currer, Ellis, and Acton Bell. You can read these poems at the digital library. Here is my suggested selection of poems Emily Bronte, Charlotte and Anne. The Bronte sisters had adopted pseudonyms for publication: Charlotte was Currer Bell, Emily was Ellis Bell and Anne was Acton Bell. The poetry, which was mostly Emily’s, received unfavorable reviews. It was this that drove them to begin their first professional novels. Here are some popular quotes by Emily Bronte. As you would expect, these are from her only novel, Wuthering Heights. A person who has not done one-half his day’s work by ten o’clock runs a chance of leaving the other half undone. In 1847, Emily published her only novel, Wuthering Heights, as two volumes of a three-volume set (the last volume being Agnes Grey by Anne). When it first came out the book received mixed reviews and was often condemned for its portrayal of amoral passion. It subsequently became an English literary classic. In 1850, Charlotte edited and published Wuthering Heights as a stand-alone novel and under Emily’s real name. By then Emily’s health had been weakened by unsanitary conditions at home. She caught a cold during the funeral of her brother in September 1848. She soon grew very ill, but rejected medical help and refused all the remedies. She died on 19 December 1848, merely 3 months after her brother’s death.